a 8mm X and 8mm dangling O both covered with 0.40ct pavé cubic zirconia gemstones. 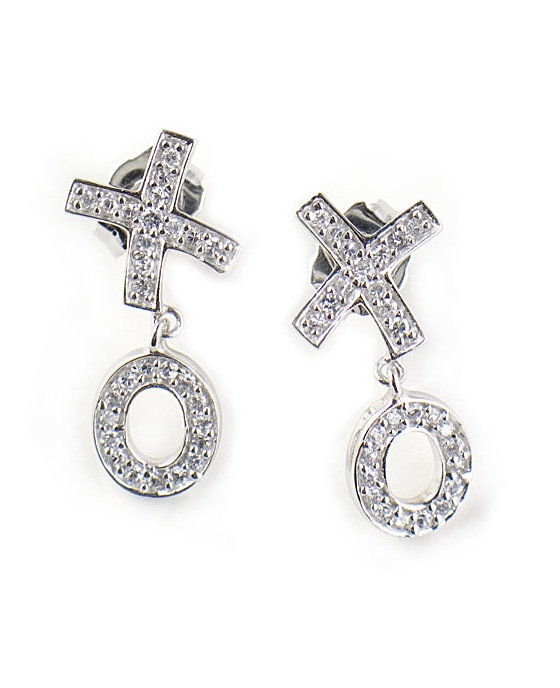 Earrings drop 2cm (0.75") and have a post back. A contemporary classic piece of jewellery that also makes a great gift.